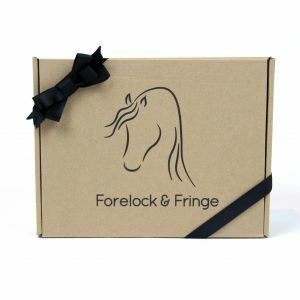 Get all the goodies from a regular Forelock & Fringe subscription for a quarter of the price in a one off box. The perfect gift for the equine enthusiast who has everything! 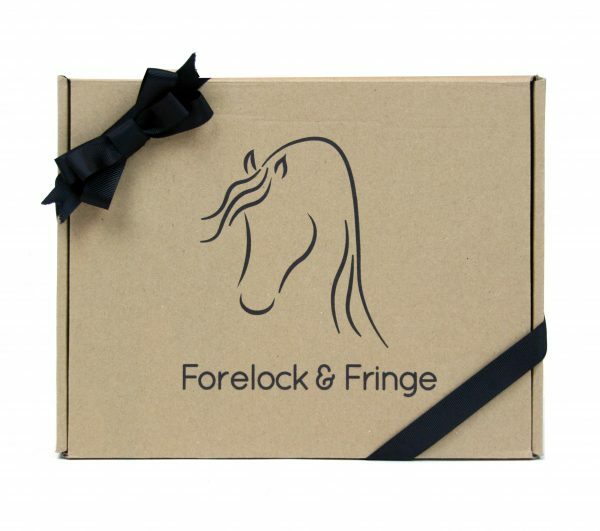 A surprise box to treat both the horse and rider, including skincare, snacks and alcohol. Whats not to love? The value of the box will always be over what you pay and will feature a mixture of products from past and future subscription boxes. It will include between 2-3 products. These are the perfect horsey gift for birthdays, Christmas or just to treat somebody you love! This box will come complete with a bow and gift card and will be packaged suitable to give as a gift. All one off gifts will be dispatched within 48 hours of purchasing and should be with you within 2-3 working days. 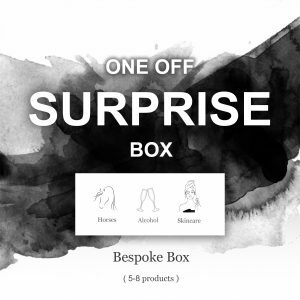 You have the option to have a small bottle of alcohol included in your box should you wish! You can make a selection regarding if the person receiving the gift would like alcohol or not at the checkout. Sometimes – We will sometimes substitute it for luxury soft drinks, coffees, teas, hot chocolates etc. Never – We will always provide you with a luxury soft drink, coffees, teas, hot chocolates or similar. If they have a favourite drink type for example prosecco, please let us know in the notes section on the order or by emailing us along with your order number. We can’t guarantee anything but we will try our best! Please note for legal reasons we cannot sell any alcohol outside of the UK therefore we will be providing a non-alcohol beverage for those under age, international or who simply do not want alcohol.